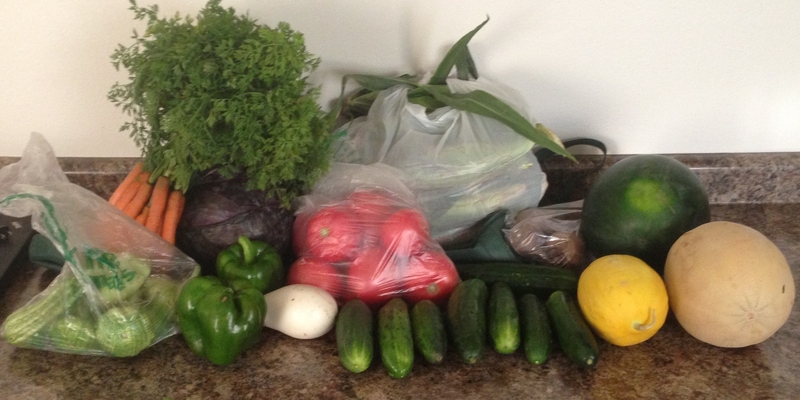 CSA Week # 11 – Nutrition.Health.Life. This is my 3rd week of my psychiatry rotation in Milwaukee. I have learned SO much and am really happy with how things have gone so far. My biggest stress has been making sure all the produce gets prepared. Poor J is stuck all alone in Appleton washing, chopping, shredding, processing, baking, grilling, and cooking. Add a huge storm that took down a few hundred pounds worth of branches and damaged our roof earlier in the month and he has been one busy guy. 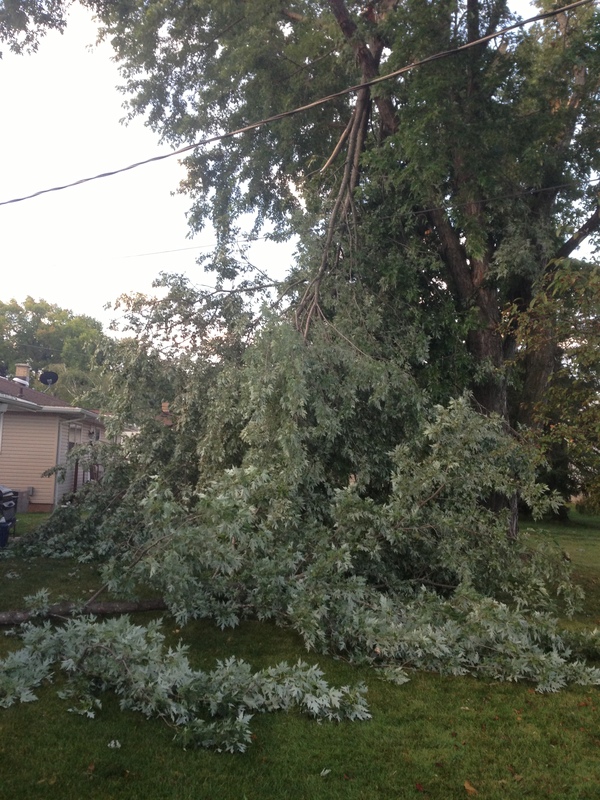 Here’s a view from the garage of two of the branches that fell after a big storm. Who knows how it didn’t hit the power line!